Mr Bru Cru: Eminem x Spike Lee. 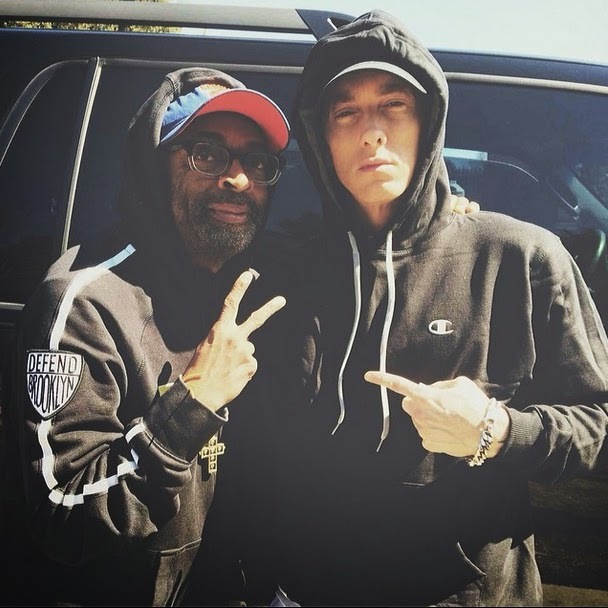 In a very rare post, Eminem put up a picture with the legendary Spike Lee. Said to be at the set of the "Highlights" video a lot of people can't help but speculate if Spike is maybe directing the video. Either way, it's cool to see Em posting stuff being that he is so personal about his life. To see more of Em click here.